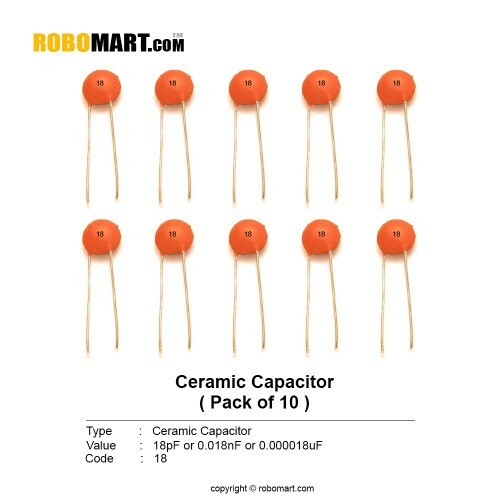 The ceramic capacitor is a non-electrolytic type capacitor used in different electronic applications. Multiple DIY projects and circuit construction. Also Searched as : 18 pf capacitor, 18 pf ceramic capacitor.